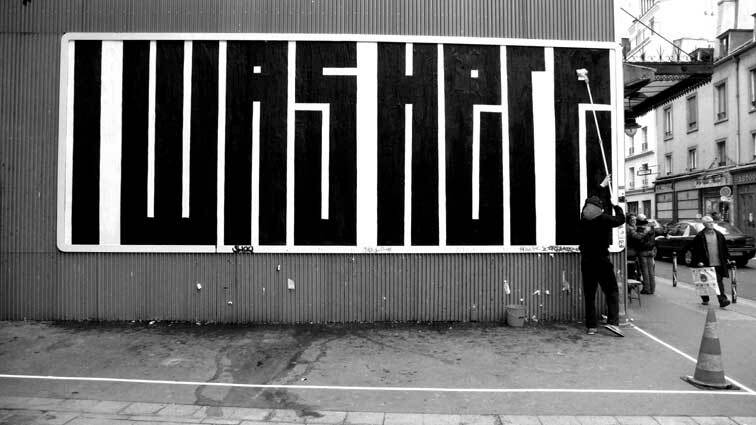 This giant "I was here" image, posted over an outdoor advertising location by L'Atlas, is a wonderful distillation of many public individual's motivations behind their graffiti, their street art, and their general tendency to mark their visual environment as they travel through public space. Major metropolis' often create a sense of anonymity that is inescapable. In order to combat this and define oneself and one's identity amidst so many, individuals turn to marking the spaces they have been. This need to define ones presence visually is only exacerbated by the presence of outdoor advertisements which promote commercial companies and their interests before those of the people who actually live in this city. As the individual becomes more and more anonymous and the corporate presence more and more prevalent, it is only a matter of time before individuals stop marking buildings and start taking back the space corporate america has robbed from them.